Description: 10" W X 15" LThe Aviva Challah Board Can Double As A Challah Board As Well As A Serving Tray. 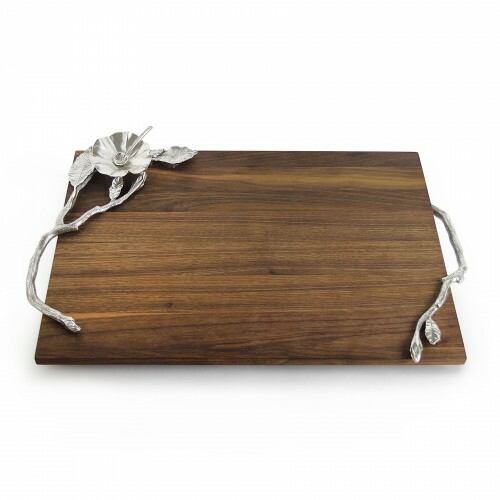 Made Out Of Sheesham Wood, The Challah Board Is Enhanced With A Hand Sculpted Branch And Flower Bowl Used For Salt. An exquisite creation by the world famous Quest collection. All hand work designed and made in NYC.